Todolwen: A New Year Brings New Things ..
A New Year Brings New Things ..
it's a new year and this year I what I would like it to be for me is all about learning, trying out new things and using newly found supplies that I haven't used before when it comes being creative. 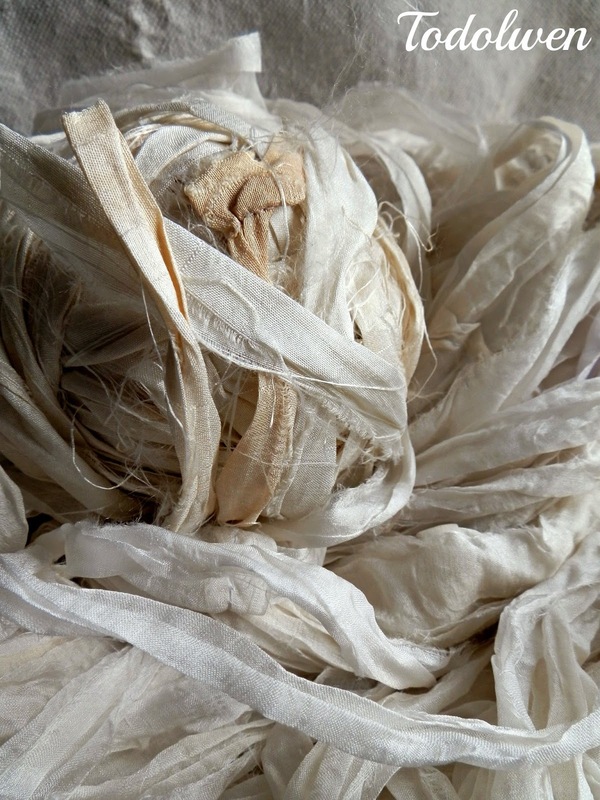 A while ago I had discovered the most beautiful recycled sari silk ribbon on Etsy that was being sold from a lovely lady in London, England. I was totally taken by it so I just had to have some of it. It is just so pretty! 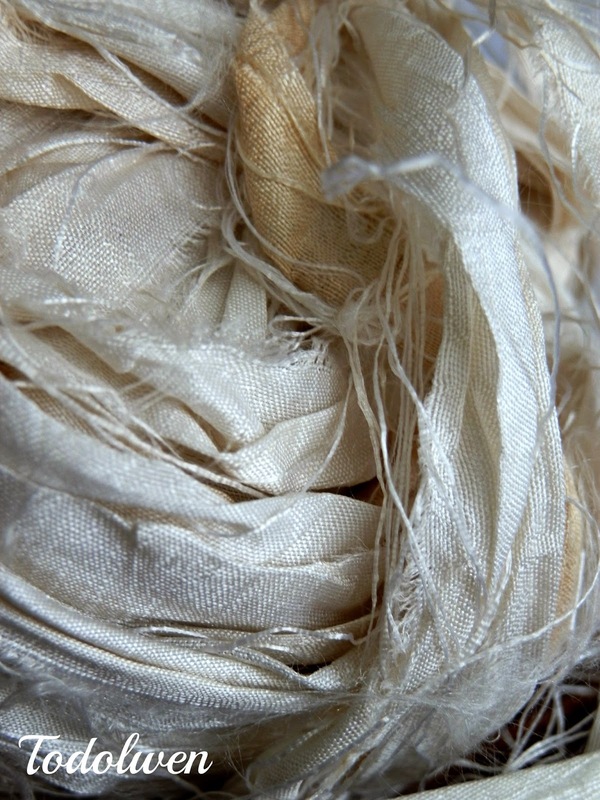 ... and the other one, was a thinner, more lightweight silk in a lovely shabby chic white color. 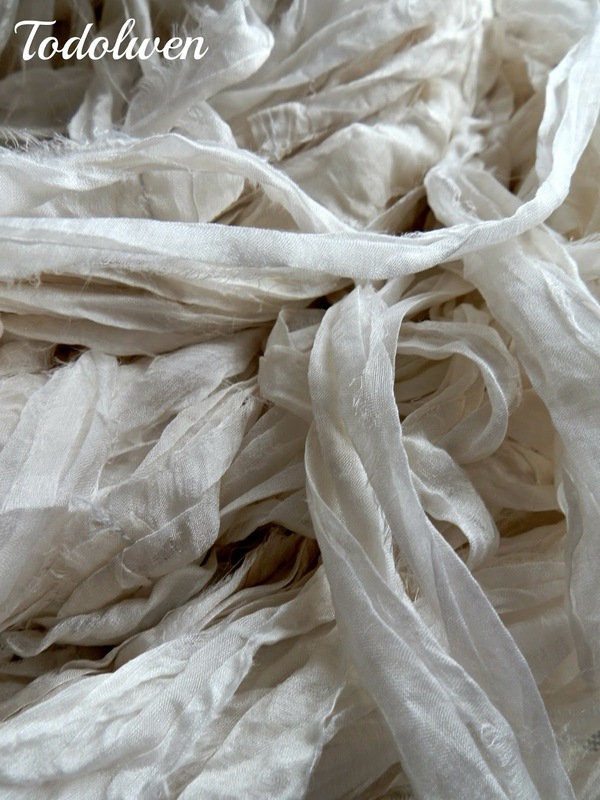 This silk ribbon is not made from old Saris but from the remnants of the Sari industry in India and Nepal that encourages women to earn a decent living. These companies are also Fair-Trade and no child labor is involved which is such a great thing. 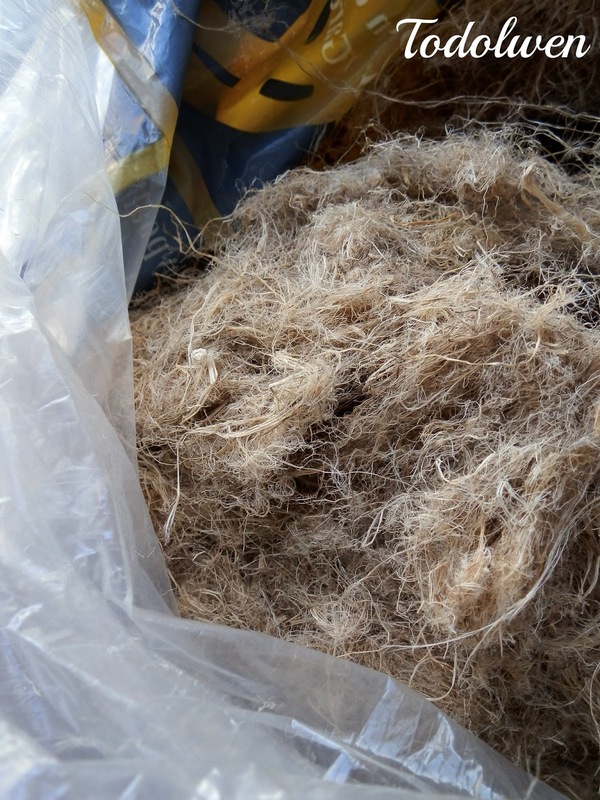 Another new supply I had found was hemp. I had bought a pound bag of it over a year ago but never used it, so this is the time to do so. Right now I am working on an idea or two of what I could create from this beautiful silk ribbon and maybe even with the hemp together. If things work out the way I would like them to I will share them with you soon. I would love for you to come back some time and visit me again and see what I have been up too. I would love to see what you do with these ribbons and the hemp. If I can get some hemp, I would like to try making 'beads' with it and maybe add some embroidery or tiny beads and shiny threads. Can't WAIT to see the beauty you put together for all to see. Whatever it is, I know it'll be beautiful. I just this past week discovered sari silk ribbon. So very gorgeous! Looking forward to what you will create with it. It is unbelievable which materials you found and I am very interested in your creations. The silk and hemp together will be an interesting combination. I know you will create something fantastic! Back To 'My Basics' ..
Grow Your Blog 2015 ..
From My Favorite Rummage Sale .. It Is Your Turn Now ..
Christmas Mail From 'Down Under' ..
From Old Woolen Blankets .. I Almost Didn't Make It ..
Christmas Mail From Germany ..
My Wishes For You ..